Three years of my life were spent working as an underwriter in insurance where safe assumptions are made all the time. For example, a white collar job is generally less risky than a blue collar job. An underwriter of life insurance would deem it safe to discount more on the white collar proposal than the blue collar proposal without research because of the already defined safe assumptions. 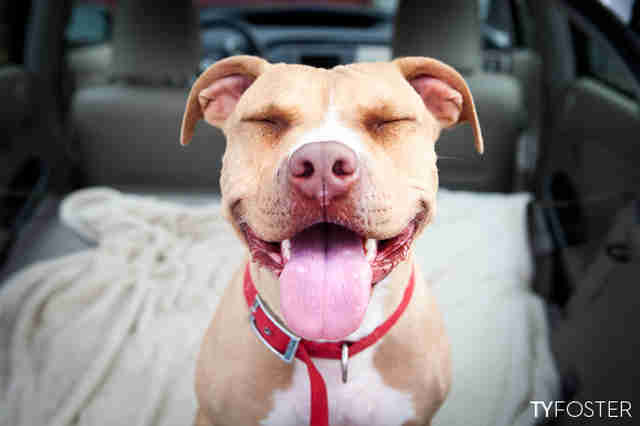 Another safe assumption would be a house with a pit bull is much riskier than a house without. So much so that the household with the pit bull would most likely be turned down for homeowners insurance based on this safe assumption. The issue with safe assumptions is just that, they're assumptions. They're scenarios that have been mulled over by the actuarial department and a decision has been made that is deemed appropriate for the broad range of situations. However, using a safe assumption you've elected to forgo creating your own opinion in favor of the generally shared view. Let me repeat that, you have elected to give up your right to make your own decision for one that is provided. And this, is where we have a huge problem, especially when it comes to dog breeds and the discrimination that is coupled along with it. Do you know why plane crashes make more headlines and news stories than car crashes? Because 2-3 injuries isn't as appealing as 20-30 and in the news world and in the era where "click-throughs" and "page views" mean dollar signs; "golden retriever attack" doesn't quite have the ring to it as "pit bull mauls owner." I will admit that there are more attacks from pit bulls than golden retrievers, but that's because of how they are raised and treated, not simply because they are pit bulls. It's this injustice to a particular breed that blows my mind, and it exists because of one reason: Our inability to rationalize with an animal outside of the human race. 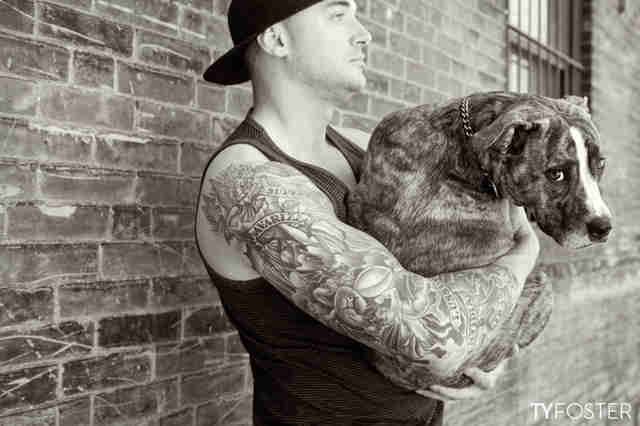 Imagine for a second that you were able to have a conversation with a pit bull, or any animal, for that matter, that has attacked a human. I know, as ridiculous as this theoretical situation sounds, I ask you to suspend your disbelief for one moment. Think of all the questions you could ask and probably would naturally ask if you could talk to this animal. I am sure you've heard the expression, "every story has three sides; your side, their side and the truth." 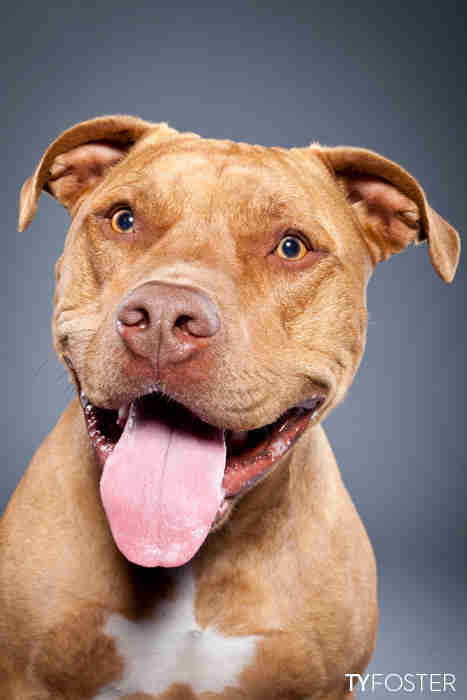 In this instance, lets say a pit bull bit a person. Normally you would assume "this dog is aggressive and since it's bit one person, it's only a matter of time till it happens again." Now, imagine being able to ask the dog a series of questions ... think of what you could learn. "Were you being antagonized?" "How are you treated on a daily basis?" "Are you neglected?" "Do you get hit on a regular basis?" All these questions are never visited because our society has defaulted to the safe assumption that all pit bulls are dangerous. I am not trying to sway you one way or the other, I am simply asking you to take a second and form your own view. In a society where 140 characters has turned us into a culture where we fire off "knee-jerk" reactions with a blink of an eye, I ask that you be brazen enough to ignore the provided safe assumptions in your day-to-day life and think for yourself. I leave you with this very short story. 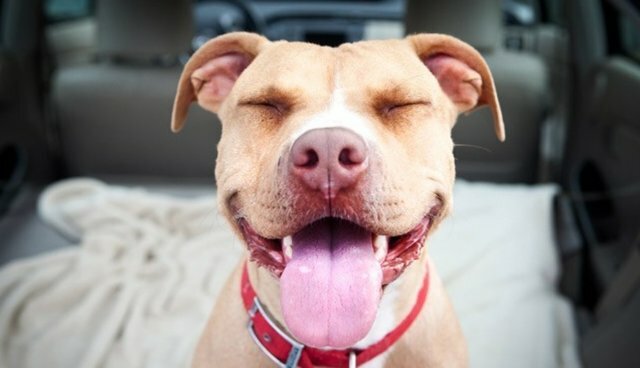 The photo above is of a pit bull rescue that I photographed for a local shelter. They picked this dog up off the street while it was being chased by three kids with sticks. The kids had been beating her and her face was all cut up and bleeding. Now, when I met her I was assaulted by a wagging tail and a licking tongue. Dogs see us as one big "breed." Those who rescued her were from the same "breed' as those who were beating her with a stick. If she can forgive us that easily, can't we find it within ourselves to at least provide her breed with the benefit of the doubt?